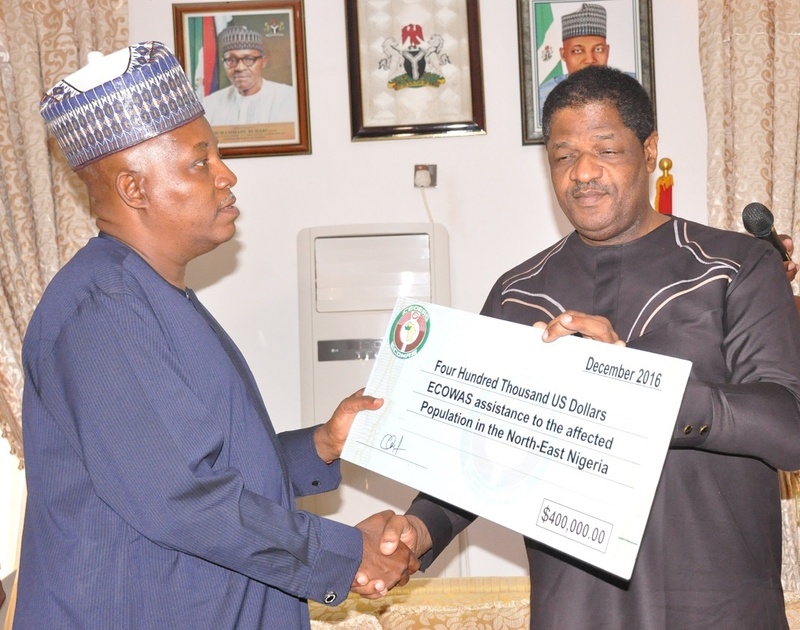 The ECOWAS Commission President, Marcel A. de SOUZA, accompanied by a large delegation, presented on Sunday, 11 December 2016 in Maiduguri, north-east Nigeria, a cheque of one million US dollars and food worth 400, 000 US dollars to Borno State Governor, Kashim Shettima. Mr. de Souza said that the food and financial assistance is the contribution of his institution to persons displaced as a result of the insurgency by the Islamic group Boko Haram in that region of Nigeria. He said that the gesture underscores the importance the regional organization attaches to the tragic events in the northern part of Nigeria. 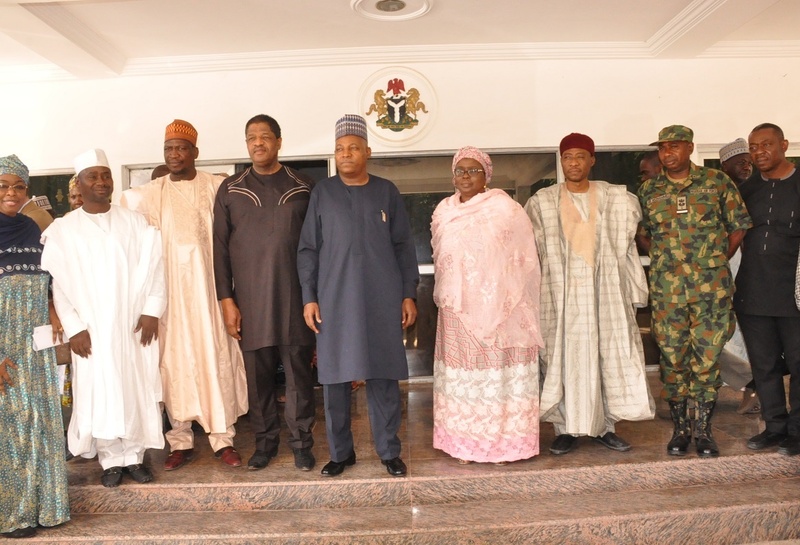 At the end of his visit to Maiduguri, the president of the Commission was impressed by the continuation of development programmes by Governor Kashim Shettima, despite enormous security challenges facing Borno state. “This is the first time I am visiting Maiduguri as ECOWAS head and I realize that despite the current security situation, much constructive progress has been made, which is highly laudable”, Marcel A. de Souza said. “We heard reports on how markets, schools and public infrastructure were burnt and looted and we are here to see how you were able to meet the challenges in stages, which is quite laudable and we commend you for the exemplary measures”, added Mr. De Souza. The ECOWAS Commission President indicated that he had already met with United Nations officials as well as officials from national emergency management organisations who presented to him some insights and data on humanitarian situation in Borno state. “Being very much affected by and highly sensitive to the situation, we felt it was necessary to come and extend our solidarity to you and assure you of our full support in all your programmes in the future. We will not be able to reach all the 4 million people in the state but we will support you in a meaningful way so that you can touch people’s lives in a positive way’’, said Marcel A. de Souza. Furthermore, the ECOWAS Commission President expressed his willingness to work with the governor of Borno state to assist those suffering from malnutrition. 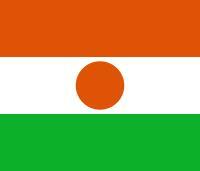 “We are deeply concerned about the plight of children and women victims of this conflict”, he said. 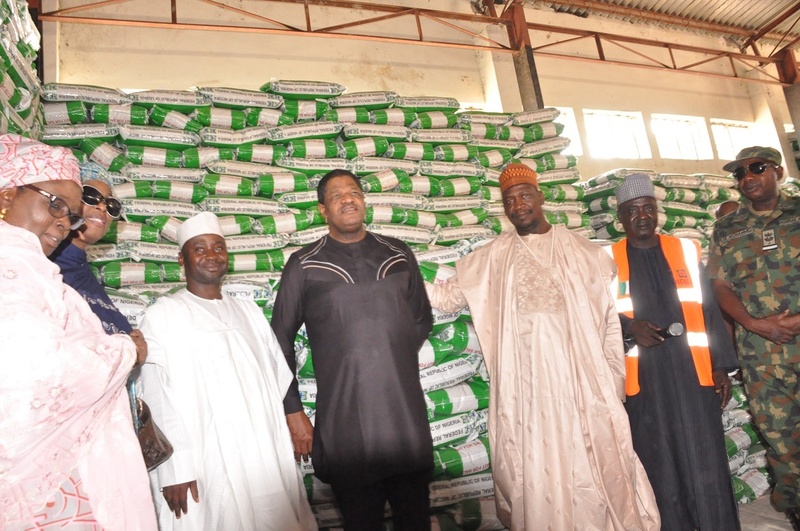 In support of the remarks made by the ECOWAS Commission President, the managing director of NEMA, who was part of the delegation, announced the donation of building materials, in addition to food products, for the reconstruction of Bama, Ngala and Hawul local government areas of the state. As for Governor Shettima, he expressed his personal appreciation and that of the state government to ECOWAS for the financial and humanitarian support his state received. 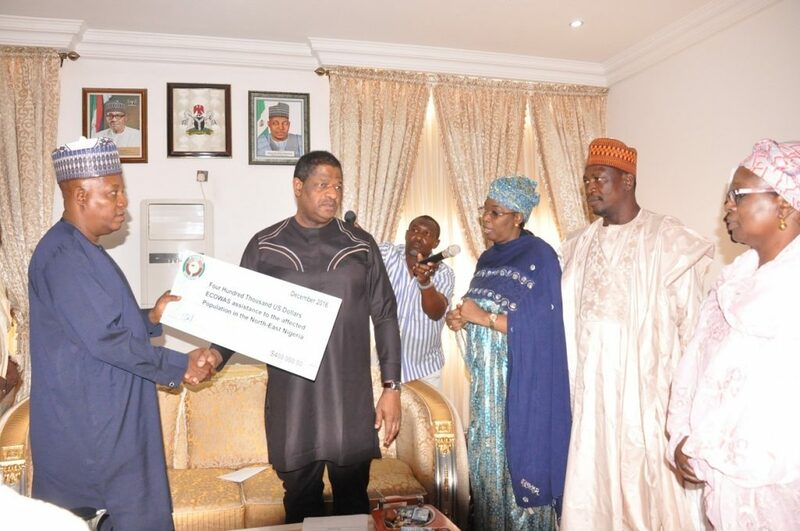 “Thank you very much for your gesture towards our communities in distress”, the governor said.